The website has an attractive interface, you can find it in many languages, it has good odds and many bonuses. You will also find the live betting option and the mobile bets. In addition to all these great facilities, you can also play Poker or Casino games, which will make your profit increase. 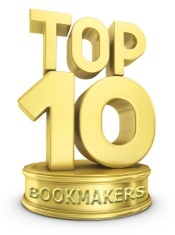 In what concerns the bonuses, Partybets is definitely one of the top sports agencies from the world. It has lots of promotions, offers and bonuses that are at the costumer’s disposal. Partybets offer their newest clients the sign up bonus of 100% up to 20€, depending on the deposited sum. So, for 10€ deposited in your account, you will get another 10€ bonus. In order for you to withdraw your bonus, you must play it 6 times, at odds of minimum 2, in maximum 90 days. The online sportsbook Partybets, offers you the possibility to bet in different leagues, making combinations of events and odds and at the final odd, the agency will add a bonus. This means that you can pick 3, 4, 5 games in your betting and an advantage will be that you will have a bigger odd than a simple bet. All you have to do is to choose the right combination and you will get bigger odds than you will normally do. For depositing and withdrawing the money, you have many possibilities, such as: Neteller, credit/debit cards, Instadebit, Entropay, Bank Wire, Click2Pay, UKash, Cheque, Skrill Moneybookers, Paysafecard or Bank transfer. The website’s interface is available in most of the international languages and the bookmaker has a large variety of sports events and also types of bets. After you have made your choice of combinations on your virtual ticket, you can place the bet and then check the results sections, to see if you have won. If not, good luck for the next try!